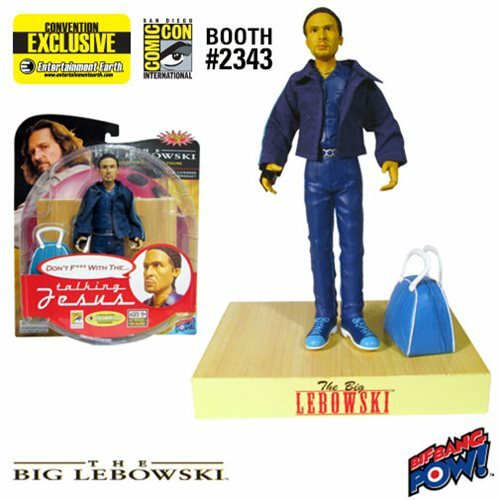 IMPORTANT NOTE: This item will debut as a Comic-Con 2009 Entertainment Earth Exclusive. Pre-orders will ship the last week of July 2009, while supplies last. Relive the fun and laughter! Urban vinyl with real cloth! Are you a Lebowski achiever? Let's hope so. After all, it would be totally "un-Dude" of you not to be. Relive all the fun and laughter from The Big Lebowski with these cool, 8-inch tall Series 3 Action Figures. Each features an outfit with real cloth pieces, movie-accurate accessories, and multiple points of articulation. They combine the stylized look of "urban vinyl" with a little Lebowski fun!